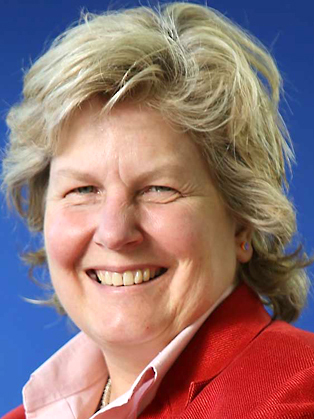 A prolific comedienne, writer, pundit and presenter, Sandi Toksvig is much in demand in the corporate sector and is an excellent presenter, after dinner speaker and awards host. Following a first-class degree from Cambridge, Sandi went into the theatre, where she both wrote and performed before becoming one of the founder members of the Comedy Store Players. She is well known for her television and radio work, as a presenter, writer and actor. She has written many books for children. Highlights of Sandi's media career include writing numerous comedy and drama scripts for Channel 4, the BBC and TVS; co-writing and presenting long running children's TV show 'Number 73'; writing two successful children's books; and appearing as a regular on many successful TV shows such as 'Whose line Is It Anyway', 'Call my Bluff', 'Time Team' and 'Jackanory'. Other TV credits include ‘Question Time’, ‘Behind the Headlines’ and ‘Great Journeys’ featuring her canoeing down the Zambezi. Sandi began her career by performing with the Cambridge Footlights, where she was Director/Writer and performed in the first ever all Female Cambridge Revue. This early success set the tone for what has been a wonderfully varied and accomplished career - her unique style and sense of humour are sure to liven up any broadcast or event. Sandi is the former host of BBC Radio 4's 'The News Quiz' and is a regular contributor to the likes of ‘Loose Ends’ 'I'm Sorry I Haven't a Clue', and ‘Excess Baggage’. Sandi also writes. She has published many children's books, two adult novels and Gladys Reunited, an American travel book in which Sandi tracks down eleven girls she was close to in her New York High School days. She also writes a weekly column in Seven Magazine (Sunday Telegraph), a monthly column for Good Housekeeping and a monthly column for The Lady together with illustrations by Sandy Nightingale. Sandi has recently formed her own political party- Women's Equality Party. Their mission includes: "pushing for equal representation in politics, business, industry and throughout working life. [and] pressing for equal pay and an equal opportunity to thrive."